Since Donald Trump defeated Hillary Clinton in the Electoral College to win the presidency, and especially since Trump was sworn in, the news has been filled with all manner of items, some of them silly, nit-picking and embarrassing for the media, and others of varying degrees of importance and interest. Among the actual news items was the choice of the excellent Judge Neil Gorsuch to fill the vacancy on the Supreme Court and the battle that ensued to confirm him; the Syrian air base strike and the MOAB bombing of an ISIS tunnel/cave installation in Afghanistan; and more recently the situation in Arkansas where the state intended to execute eight death row inmates in the 11 days remaining before the end of April when one of the drugs used in executions reached its expiration date. This latter development produced quite a lot of comment, most of it negative from opponents of the death penalty. 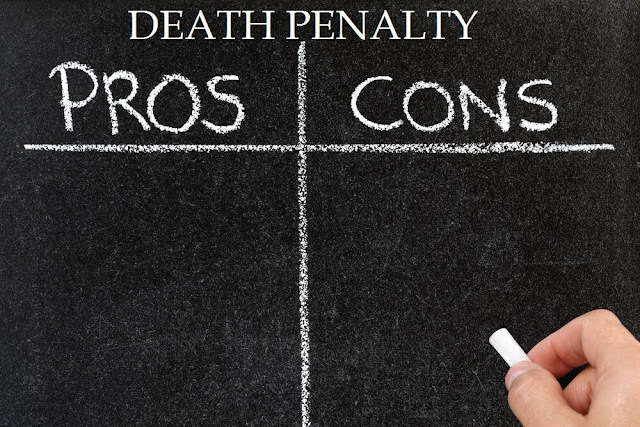 The death penalty is sanctioned through the 5th and 14th Amendments to the U.S. Constitution, and each death row inmate had been convicted and had many years to appeal their sentence or conviction, so why so much controversy? Many were horrified not about the death penalty itself, but that Arkansas would conduct so many executions in such a short period. The death penalty is a matter of long, spirited debate, notwithstanding its constitutional and Biblical validations. The religious aspect is important in the United States, since among the volumes of things former President Barack Obama misunderstands about America is its still-strong religious nature. Of the 35,000 participants from all 50 states polled in a 2014 Pew Research Center study of Religion and Public Life, Christians accounted for 70 percent of participants, and more than 75 percent claimed some religious affiliation. While our government is not founded on any set of religious beliefs, people with religious beliefs have been a major segment of the population since the nation’s founding, and their beliefs heavily influenced the founding principles, and that influence still exists today. Many Christians, along with people holding other religious beliefs, and still others who do not cite religion at all, object to the death penalty on its failure of compassion. “How can religious and other compassionate people indulge in such a barbaric act?” the argument goes. Steve Stephens, a 37-year-old black man, was having trouble with his girlfriend, so naturally he decided the solution was to randomly pick out someone to kill. After mentioning the woman’s name to 74 year-old Robert Godwin Sr., also a black man that he came upon while searching for a victim, he shot and killed the unsuspecting and totally innocent Godwin. Stephens’ stupid and vicious murder highlights this issue. Many believe that someone who intentionally and deliberately murders another person and inflicts shock and grief on that person’s family and friends somehow is entitled to the compassion the murderer sadistically denied the victim(s). One religious argument against executions is that it denies the criminal the opportunity to repent and even use his/her experience to try to turn others to religion and away from crime. Others believe, however, the condemned deserves no consideration or compassion when his or her justice is rendered. “Should not that person suffer at least as much as the victim and those close to the victim?” this argument goes. Since the U.S. Supreme Court decision in 1972 allowed the resumption of the death penalty, its use has dropped off substantially. While 31 states still legally allow executions, ten of them have executed no one in the last ten years, and 26 have executed no one in the last five years. Several reasons are cited: the possibility of executing an innocent person; botched executions; a decline in the crime rate; and the cost of fighting those opposing the imposition of the death penalty in capital cases. There are five legal methods of execution – firing squad, gas chamber, hanging, electrocution, and lethal injection – and lethal injection is the hands-down preferred method. Much of the opposition to the other four comes down to how “unpleasant” each of those methods is to the condemned, with lethal injection normally being the least uncomfortable. However, even lethal injections sometimes cause suffering to the condemned. There is an on-going debate over whether the United States should have a death penalty. Another debate centers on making the execution as easy on the condemned as possible. Perhaps this represents a true expression of compassion, or maybe it is one more step toward making executions so difficult and expensive that eventually it will be abandoned, in favor of keeping vicious criminals alive and relatively comfortable in prison for the rest of their lives at a tremendous cost to taxpayers. As long as there is a death penalty, someone who is absolutely proven guilty of committing a capital crime and sentenced to death should collect his or her just reward in a reasonable amount of time (which will be in fewer than 10 or 20 years), as efficiently as possible, and as inexpensively as possible. If it hurts a little, or a lot, too bad. Of all factors involved, the concerns of the criminal come last.